A course in the field of trauma nursing organized by the Training Center of the Military Medical Services of the Sector for Education and Scientific Research MMA was completed on 15th May, 2015 at the Military Medical Academy. Theoretical and practical classes held a five-member expert team of the Defense Institute for Medical Operations of the Armed Forces of the United States of America led by Lieutenant Colonel Jerry Rumbach. During the five days of theoretical and practical training, participants had the opportunity to get familiar with modern methods of trauma nursing, but also to compare the methods and principles of work at the international level. 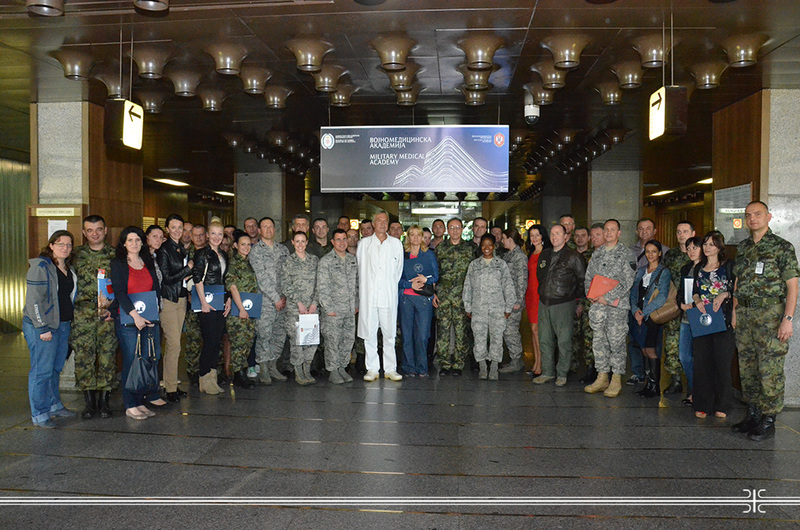 The training was successfully attended by thirty medical technicians and medical non-commissioned officers from the military medical facilities of the Ministry of Defence and the Serbian Armed Forces.